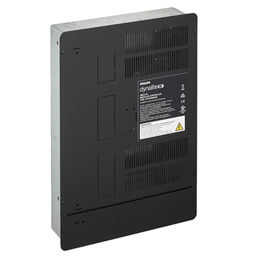 The Philips Dynalite DMC-GRMS-UL controller is a general room automation and energy management solution. • Built-in DIP switch — Allows the device’s network address to be configured without commissioning software for faster installation. • Dry contact inputs — The unit receives instructions from voltage-free button presses or a keycard switch within the room. 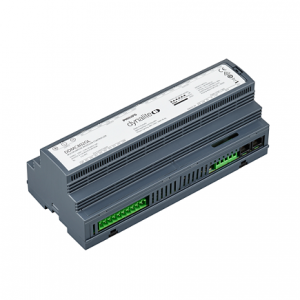 • 16 A power relay — Enables a total energy management solution, reducing standby power consumption by powering outlets only when required. 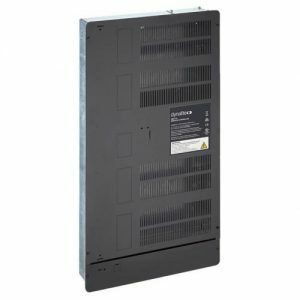 • Four control module slots — Provides a tailored combination of forward and reverse phase dimming, 1-10V/DALI Broadcast, and relay/motor control. • Built-in motor directional relays — Provides control of motorized blinds and curtains. • Sixteen DMX512 output channels — Caters for situations where color-changing lighting is required as part of overall room ambience. 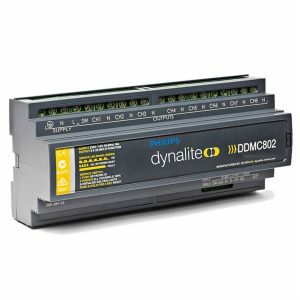 • Supports two DyNet ports — Can operate as a standalone solution, or integrated with other Dynalite network devices as part of a larger scale system with centralized monitoring and control. 120/230 VAC 2-5 A per output. † Continuous or inrush load ampere rating not exceeding the maximum ampere rating of the device.